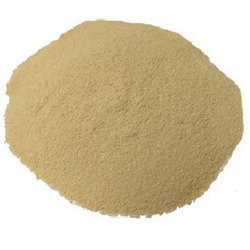 Leading Manufacturer of yeast extract powder, potassium silicate powder, aminofert, calcium propionate, seaweed extract powder and amino acid mixture 50% from Bhiwadi. Yeast Extract is an excellent stimulator of bacterial growth and used in culture media. Yellow to light brownish free flowing powder having characteristic yeast odour but not pungent smell. 1 Appearance White colour to yellowish, free flowing powder. 2 Solubility (2% Soln.) Completely soluble in water, but not in alcohol. Std Packing: 25 Kg, HDPE/Paper Bag. Aminofert is a brand name of product, which contains a mixture of amino acids and other nutrients. Basically applied for the improvement of field crop yield and quality. Aminofert is a fertisioner, its various ingredients strengthen distinctive tastes, foliar (leaves) and flavors of fruit vegetables with its abundant nutrients. Nutrivet Cap is the brand of Titan Biotech Limited. Calcium Propionate is a salt of Calcium Hydroxide Propionic Acid. Calcium Propionate is used to reduce the possibility of mold aerobic sporulating bacterial development in feeds. 6. Protects livestock and poultry from being fed poisonous molds. 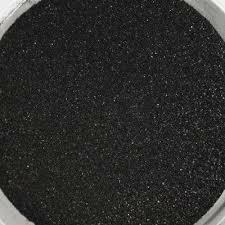 1 Appearance Dark brown particle or powder. Storage : Hygroscopic by nature, store the material below 25 ºC, protect from direct sunlight. 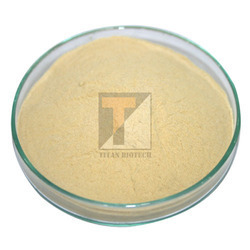 1 Appearance Light Yellow Colored Powder. 2 Solubility (2% soln. at 25'C) Soluble In Water , Clear Yellowish Solution. 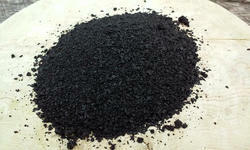 1 Appearance Black brown particle or powder. 2 Solubility Slightly soluble in water with much swelling , soluble in alkali hydroxides and carbonates. Std Packing : 20kg Paper bag with double LDPE liner bag. Shelf Life : 24 months from the date of manufacturer. Storage : Store in cool and dry place, in frost free conditions. Product is hygroscopic in nature.